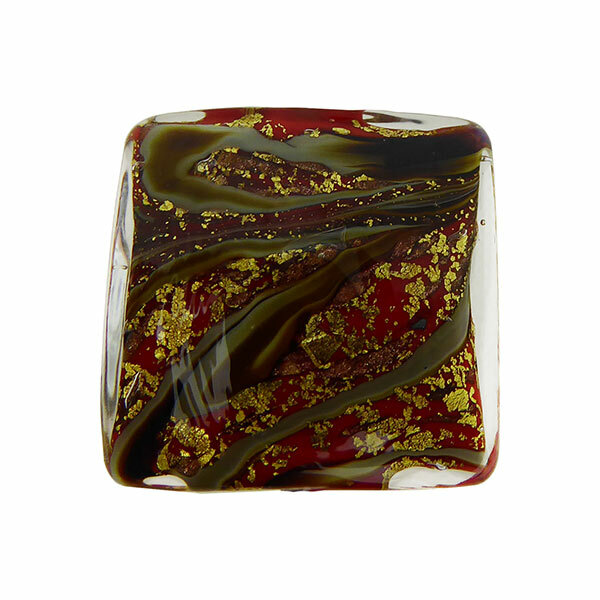 This is an authentic Murano Glass Square approximately 18mm square and slightly more puffy in the middle with a 1mm hole through the center. 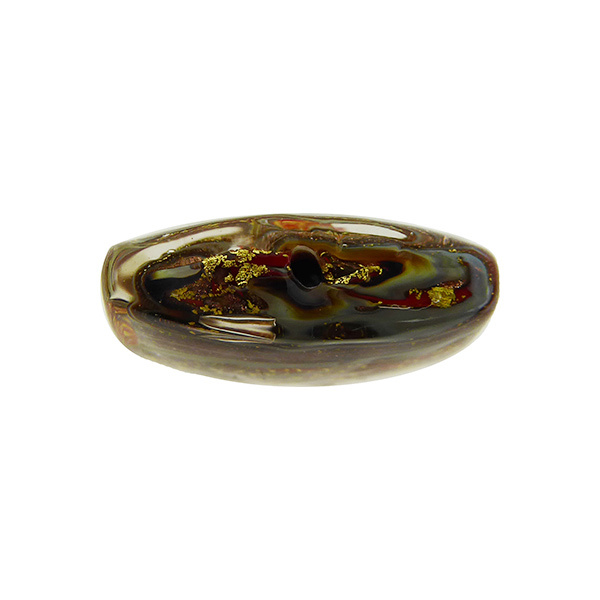 The bead incorporates several Venetian techniques. 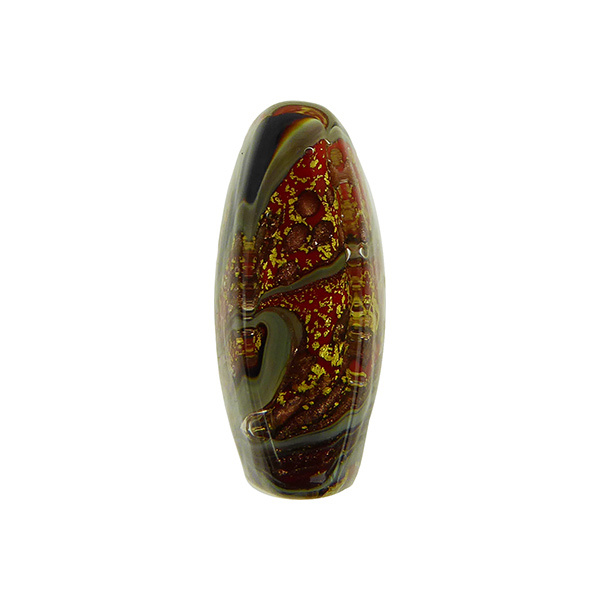 The base is opaque Coral Murano Glass encased in 24kt Gold Foil with swirls of Calcedonia around and Aventurina The entire bead is then encased in clear Murano Glass giving it a depth and interest. 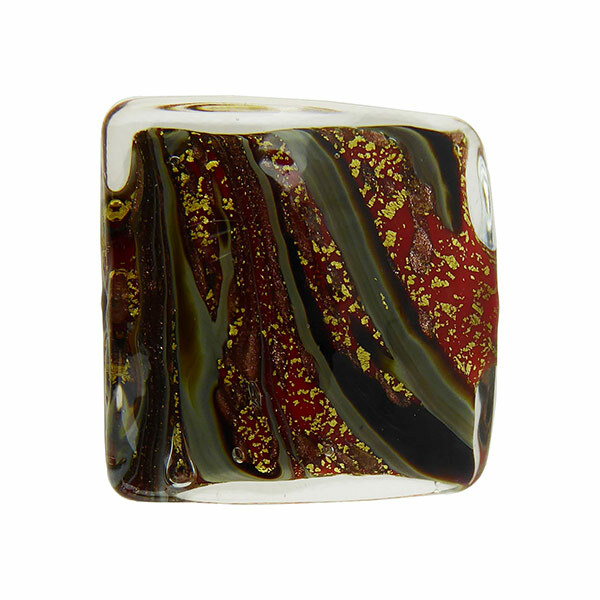 The exact placement and shape of the swirls is never repeated exactly. For more information visit our blog? What is Calcedonia?